The Pittsford Food Cupboard is supported largely by the Pittsford Community. We were established in 1998 to serve the need in Pittsford, Mendon, Honeoye Falls, Brighton, East Rochester and some areas in the city of Rochester. ​TO THE PITTSFORD COMMUNITY FOR YOUR CONTINUED SUPPORT! 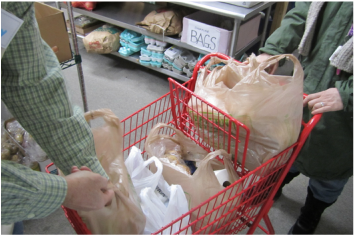 This past year The Pittsford Food Cupboard provided food supplies to over 4,000 households, totaling over 9,400 people. We could not have done this without the Pittsford Community.